Litigation | Greer, Burns & Crain, Ltd.
Greer, Burns & Crain attorneys have extensive and successful experience in vigorously representing clients in litigation to protect their rights under all aspects of intellectual property law, including patents, trademarks, trade secrets, copyrights, unfair competition and related issues. Protecting intellectual property rights may mean enforcing a client’s patent rights against an infringer or it could mean protecting a client’s right to use a particular slogan against the claims of another for trademark infringement. We protect the client’s rights, whether those rights stem from owning the intellectual property at issue, or whether those rights are to continue with a particular activity free from the charge of infringing someone else’s intellectual property. Intellectual property litigation typically takes place in Federal Courts, and GBC attorneys have represented clients in Federal Courts in Illinois as well as in many other states throughout the country. While state court litigation regarding intellectual property is less common, GBC attorneys have also successfully represented clients in many state courts. Some litigation proceedings also take place in an administrative setting, such as in the United States Patent and Trademark Office or in the International Trade Commission, and GBC attorneys are also well experienced in these forums. We understand that although litigation is sometimes necessary to protect intellectual property rights, GBC attorneys also recognize that a strictly legal solution may not be the best solution if it does not make business sense for our clients. The approach taken by GBC attorneys is to gain a full understanding of the client’s business objectives at the outset of any litigation in order to tailor the approach to the litigation to meet those objectives. In many instances, the client’s business objectives include achieving a certain end result with respect to the intellectual property involved, but to do so at a reasonable cost. For that reason, we approach litigation with a cost effective and cost efficient mind-set – which is one reason why no GBC attorneys have 4th chair experience – we simply don’t staff litigation with that many attorneys. All through the litigation process we remain in close contact and communication with our clients to keep them up to date on the progress of the litigation and to be sure that the approach continues to meet the client’s objectives. We also continuously and actively look for ways to resolve the dispute in a business-like manner, to achieve the client’s business objectives with certainty. 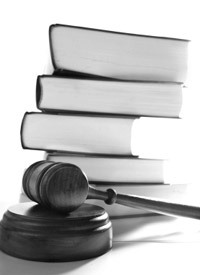 We have experience in many types of alternate dispute resolution proceedings, both before and during litigation, including party-to-party negotiations, court assisted mediation, the use of private mediators and arbitration proceedings. All of these types of approaches are discussed with clients considering or involved in litigation, and are revisited periodically during litigation while keeping an eye on meeting the client’s business objectives.